Join our Telegram Channel "Apps2Win"
If K Brunt get fit on time then she can replace to F Wilson in the playing11. No changes expected from Lankan side. Stay tune for NEWS & Info Update. 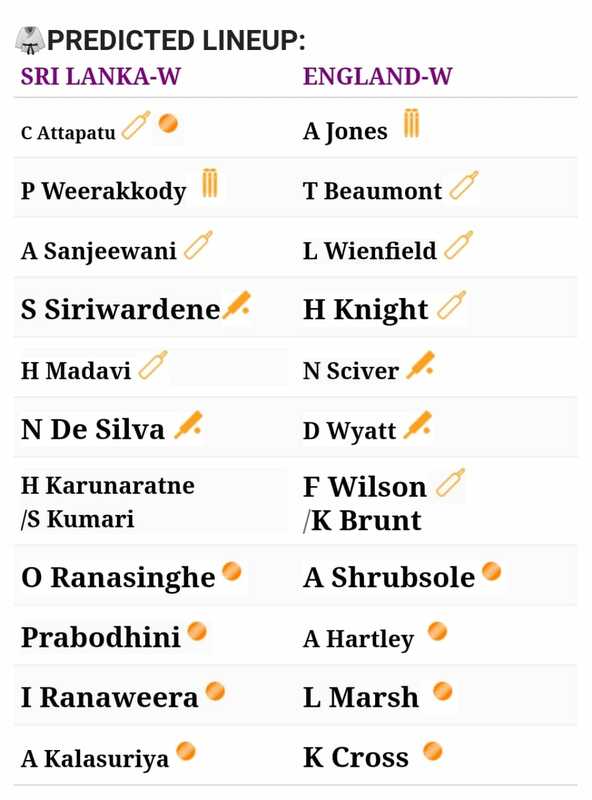 C Attapatu and H Madavi and N De Silva were the only players in last match from Sri Lanka side who contributed points on D11 in both Batting. 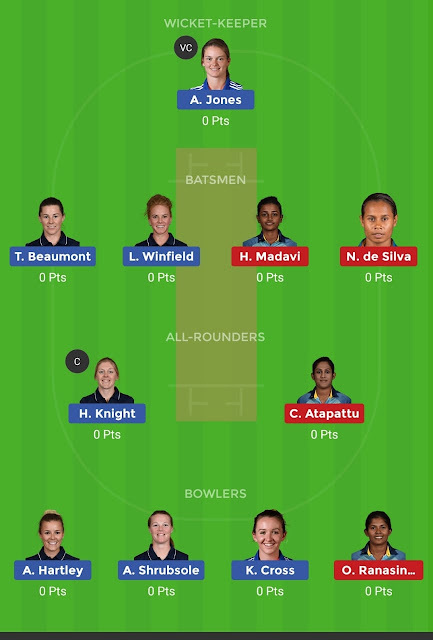 H Karunaratne, S Kumari and I Priyadarshini are available into the squad. England top 3-4 batswomen will be extremely important if they chase & D Wyatt can be useless if England have to chase. N Sciver & K Burnt is the highest run scorer and wicket taker respectively from last 3 ODI. T Beaumont is the leading run scorer from England side with 533 runs in ODI on ICC championship table. In last 15 matches between EN-W vs SL-W, England Women has won 14 of them(15). Most games has been won by England women one sided. Other C & VC Options: T Beaumont & any Bowler from England side.